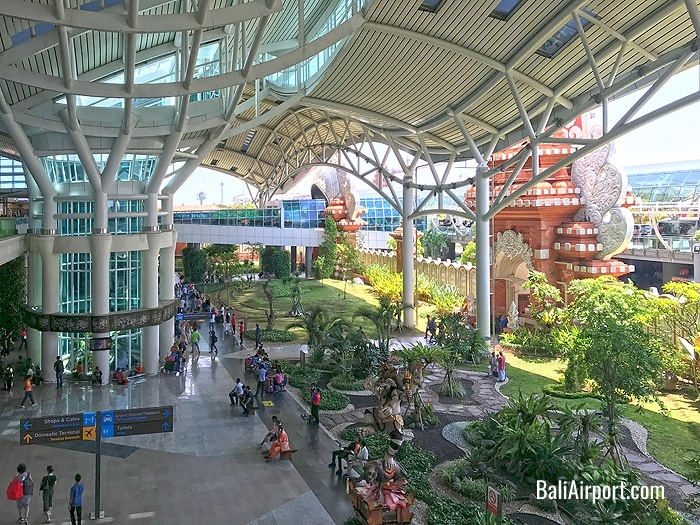 Fly in to Denpasar (DPS) Airport – the only international airport on the island of Bali. This is located at the southern tip of the island. Alternatively, you can fly to Singapore or Malaysia with many international airlines, then fly to Bali on regional budget airlines, e.g. Scoot, Jetstar, AirAsia. The airport has free wifi accessible from most areas. The network name is usually “NgurahRaiAirport”. Connection can be slow, but it works. After exiting the arrival hall, turn left and there are couple of counters on the left near the duty-free area where you can get a SIM card with data if you wish to. Most restaurants and hotels in Bali will have free wifi if that is sufficient for your purposes. The Mansion Resort Hotel & Spa offers airport transfers at IDR 425,000 (~USD 30) each way, with a surcharge of IDR 100,000 (~USD 7) after 11pm. The price is per car, which can take up to 4 adults with reasonable luggage. The driver will wait for you at the arrival hall exit with your name on a card. This will be added to your hotel bill. You may arrange for an airport transfer via a private driver. Doel (+62 821-4632-2277; www.facebook.com/doelbalitrans/) has been tried and tested—he is reliable and friendly. His current rate from the airport to Ubud is IDR 400,000 (~USD 28) per car for up to 4 adults with reasonable luggage, but do confirm the destination and price with him beforehand. He will wait for you at the arrival hall exit with your name on a card. Payment will be made when you alight. Taxis may be booked from a counter. After exiting the arrival hall, turn left and the official but very small ticketing booth will be on your right, just before the duty-free area. Fixed fares are displayed on the board at the counter. Once payment has been made at the counter, a driver will be assigned to you and he will take you to the taxi. The price is per car and not per person. According to Wikitravel the current rate is IDR 300,000 (~USD 21), but this may be subject to change. There are no taxi queues, but there will be other drivers (other taxi companies, private hires, etc.) propositioning you from the time you exit the arrivals hall all the way out of the airport. Some may even start to help you with your luggage. Just refuse politely, unless you are ok to accept their services and be prepared to bargain! Transportation apps such as Grab and GoJek are usually a lot cheaper, but it is not recommended for departing from the airport (going to the airport is fine). The arrivals level can be a chaotic place and there are no designated pick up points. It may be difficult for you to find the driver even after specifying one. There have also been cases where fake drivers accept the booking without turning up. Blue Bird taxis have a good reputation in Bali. 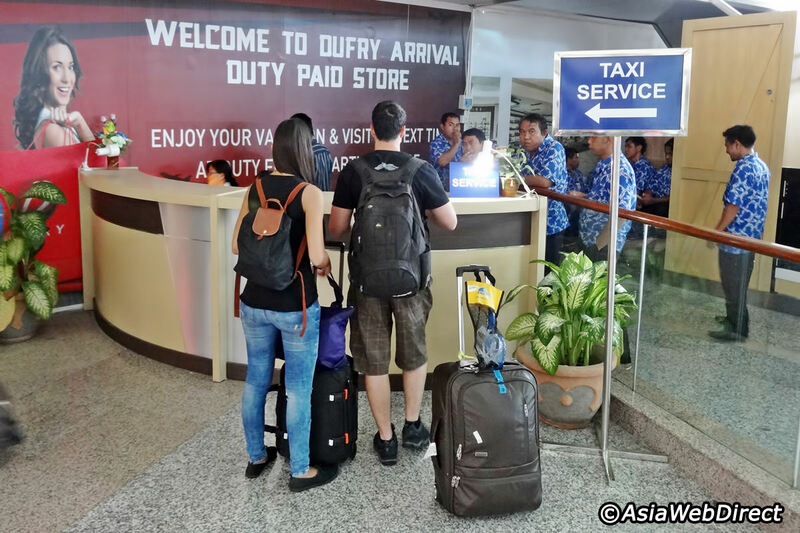 You can either flag them down (just be sure you are flagging the right taxi), or book one via +62 361 701111. Do ensure that the meter is turned on. For some reason however, they are not welcome in Ubud; in which case, there is a local app called Bali Cab which is accepted. Their prices are similar to Blue Bird taxis. Grab and GoJek are our preferred apps for Bali. They offer fixed rates for private cars or motorbikes which are usually very cheap, even when travelling between towns. Note that some establishments do not allow pick up from Grab or GoJek drivers, so you might have to select a different pick up point nearby. The local taxis strongly oppose to these services, and occasionally drivers on these apps may refuse to pick you up from certain locations to avoid confrontation. In that event, either arrange a different pick up point, or try again. The Mansion Resort Hotel & Spa offers a free shuttle bus service to and from Ubud town centre for its guests every couple of hours. The schedule may be obtained from the hotel reception. Check out the video below for other helpful tips for navigating Ubud, including renting bikes and walking.